Perseverance is the lesson here. Even if you there’s a low chance of you getting your ideal image, it’s better than giving up and having no chance. After four years, you would think that this photographer would have given up on getting a good lightning shot. 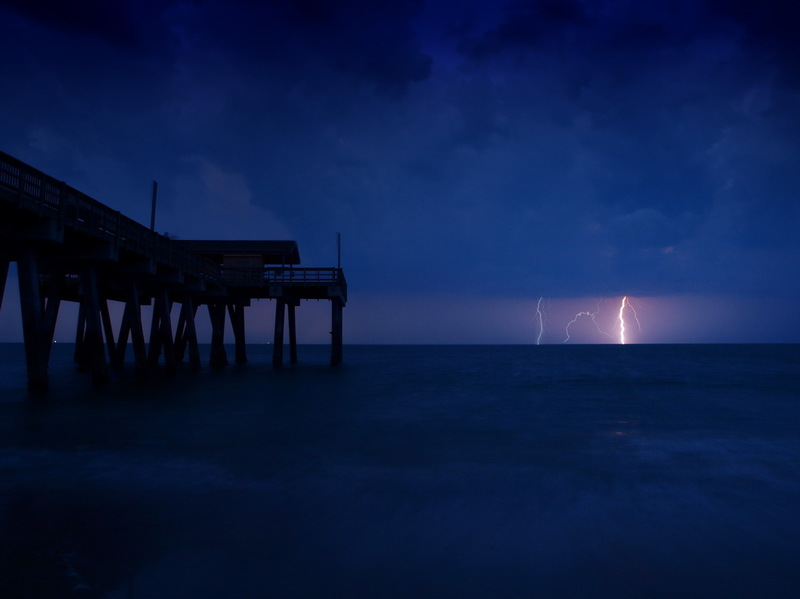 But one morning, he saw a storm off the coast on the radar, grabbed his tripod, and tried once more. And this time, he succeeded. I’ve had the same problem for years too! I have some lightning shots, but nothing good enough for the quality of photographs I look for in myself. Plus, where I live, it rarely rains and so lightning is even rarer. This summer I was able to procure some awesome lightning photographs that I’m happy to put in a frame. That’s a long wait. Night time is a lot easier to catch bolt or two and if you’re a Canon user and can install MagicLantern there’s a function that’ll trigger your camera on a Lightning Strike. I’ll give that a go during daylight hours this coming Storm Season. I also like to know my exposure of a scene before the storm arrives and will under-expose by half a stop and use Lightning as my fill light. That’s incredible! Congratulations with achieving your objective with a lot of tenacity and patience. It was definitely worth the invested effort. Best wishes with all your photography and thanks for sharing this experience and inspiration.